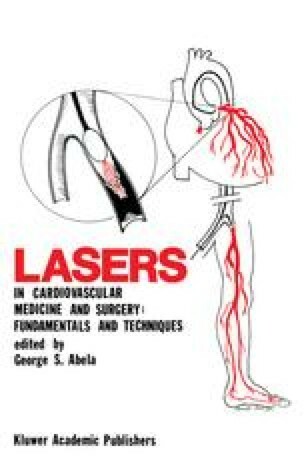 Precise targeting of laser energy to atherosclerotic plaque is crucial for the safe performance of laser angioplasty. Although it is possible to increase the luminal diameter of an artery using direct laser energy , these efforts have been complicated in experimental studies by an unacceptably high incidence of vessel perforation [2–4]. Various imaging techniques to precisely direct laser energy to atherosclerotic plaque have been evaluated. These have included fluoroscopy [4, 5], intravascular angioscopy [6, 7], and high-frequency ultrasound . None of these modalities, however, have consistently enabled adequate targeting of laser radiation to ablate only the atheromatous plaque.